Locklin, Saba, Locklin & Jones, P.A. provides services in the area of business, commercial, contract, corporations, wills, trusts and probate law, with an emphasis on real estate law in both Florida and Alabama. Locklin, Saba, Lockin & Jones, P.A. is from Milton, Florida and has been practicing in the Milton/Pensacola area for over 31 years. Daniel Saba also grew up in Milton and Pace. After law school, Daniel joined the firm and became a partner in 2006. 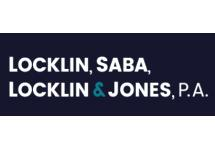 Locklin, Saba, Locklin & Jones, P.A. is an agent for First American Title Insurance Company, Westcor Land Title Insurance Company, Ticor Title Insurance Company and Attorney's Title Insurance Fund. The team at Locklin & Saba, P.A. includes 12 full time staff members. The mission of Locklin & Saba, P.A. is to provide quality legal services in a timely manner with effective client communications at competitive prices. Attorney's Title Insurance Fun, Inc.